States and Canada, despite being labeled in 64 countries around the world. engineering our food, exposing the cozy relationship between the agribusiness industry and our governments. The film is anchored in the intimate story of the filmmaker’s relationship to her mom, an organic gardener, seed saver, and food activist who battled cancer while the film’s production was underway. Interweaving the personal and the political, the film uses family video archives, animations, and mouth-watering vignettes from the filmmaker’s award-winning PBS cooking show to create a visual celebration of homegrown food and family legacy. 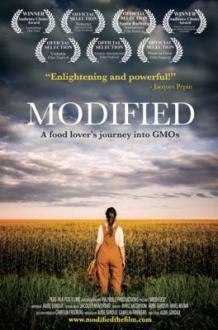 The film debunks the myth that GMOs are needed to feed the world and makes a compelling plea for a more sustainable and transparent food system. An official selection at over 30 film festivals and winner of 9 festival awards.